Contractors’ Questions: Why haven't I heard back from tech contracts I applied for? Contractors’ Questions: Why haven't I heard back from contracts I applied for? Contractor’s Question: Two applications I've made for IT work and still no dice. Not even replies. One was well within my remit -- a contract tender; the other outside of my comfort zone and a taster for a full-time role, but I still ticked all their criteria boxes. So I’m scratching my head a bit. Not hearing back on either has knocked my confidence. I think an acknowledgement of my CV, portfolio and cover letter would have been courteous. I’d also like to find out where I went wrong in my application. I guess asking for feedback before voicing my disappointment is more sensible if I do approach the agency or client-hiring manager. Right? Expert’s Answer: This is a common but challenging obstacle. To address it fully, an understanding of the recruitment business model is in order. 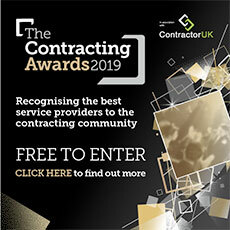 Some of that model will be touched upon in a webinar I’m running with ContractorUK this evening, specifically for contractors trying to win work. But your first point to grasp is that there can be upwards of 150 people applying for each of the roles you mention. Obviously, some of those applicants will make the shortlist and many won’t. The cold, hard truth is that recruiters simply don’t have the time to explain to 145 candidates why they weren’t successful with their application. It would be commercial suicide for them to spend their time on this kind of activity! The second point is that job adverts can be rather ‘loose.’ What I mean by this is that the ‘advertised criteria’ might be different to the ‘desired’ candidate profile -- if someone applies who meets the ‘advertised criteria’ but also has a number of ‘desired’ skills that were not advertised, someone else might apply for the role who meets all the ‘advertised criteria’ but still not get an interview. Job specs are often left ‘loose’ when the hiring manager / recruiter is unsure if the ‘desired’ skills are readily available. There’s no point advertising for something that doesn’t exist. The third factor potentially in play is that some recruitment agencies are just fishing for candidates. It’s not uncommon for recruitment agencies that are not mandated suppliers to certain companies to advertise that company’s jobs as if they were (there are numerous ways that they find out about these jobs). The idea is that they find a couple of great candidates, in order to send to the company, and use that as a starting point to building a relationship with the hiring manager; in many cases the company doesn’t bite and simply continues working with their existing suppliers, leaving the applicants wondering what the heck has happened. The fourth issue, and potentially the biggest but one which I can help you with, is around the quality of your CV. I have always pontificated that for every contract someone is offered, there were six better candidates that didn’t get an interview! Why? Because it’s not who is the best candidate; it’s who has the best CV and who can sell themselves most effectively in an interview or pitch. You might have been a strong candidate for the role, but did your CV really hammer this point home? For more great contracting strategies from staying sane in the contract market to succeeding at interview or tender, including how to stay busy and well-paid in 2019, join my Contractor Winning Work webinar, 7.15pm tonight, Wednesday November 28th. We can even get to work on that confidence dent too!